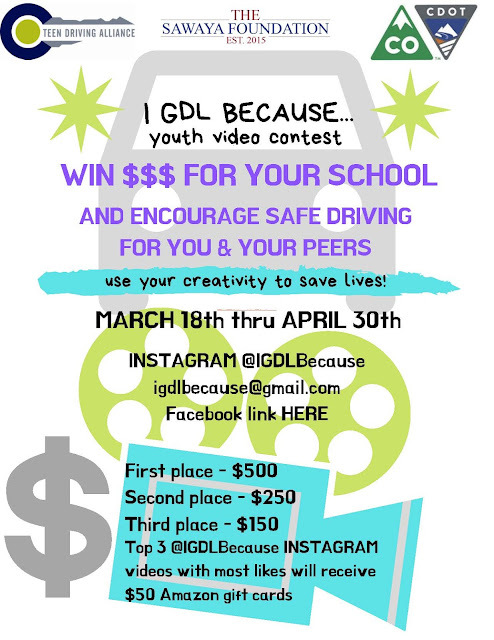 Violence and Injury Prevention Network: Campaign: "I GDL Because..."
The "I GDL Because..." Campaign is happening now through April 30th! 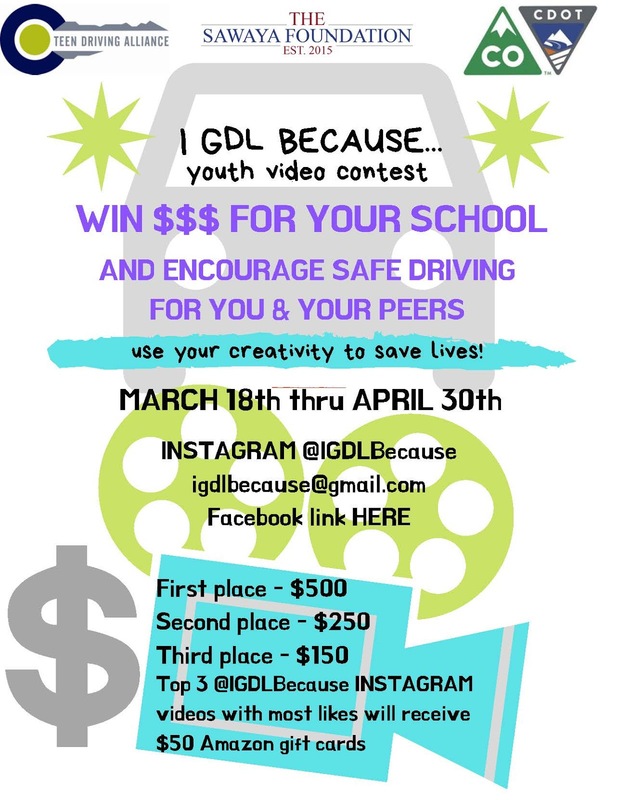 Please pass along to your school partners. 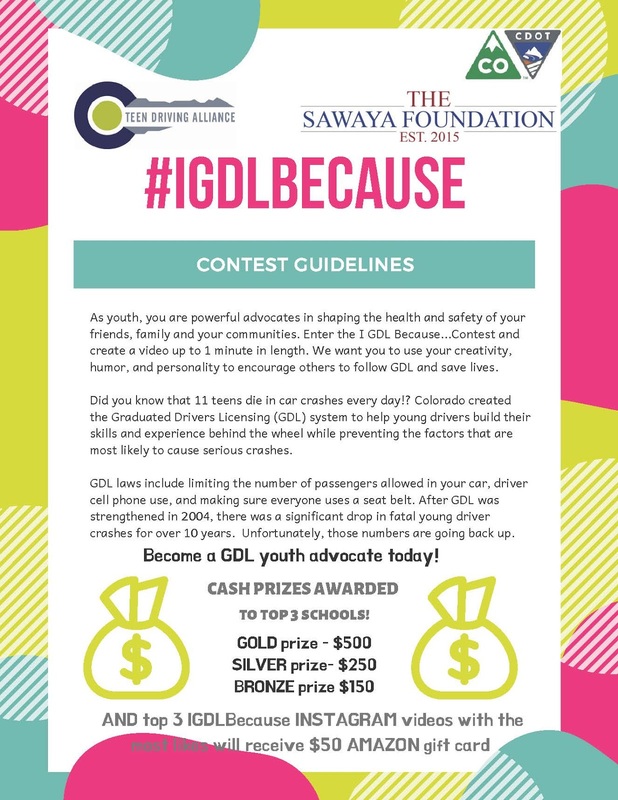 The goals of the campaign are to increase protective factors of positive social norms and connectedness and also to harness the power of youth advocacy to increase awareness of and adherence to GDL.